Alien by Thierry Mugler is the perfect fragrance if you are looking for a signature scent. Amazing for all occasions and ages, this women's perfume features top notes of amber and vanilla, middle notes of earth and woods and an orange blossom base to create a spicy and mellow delight. 1 fl. oz. An EDP spray perfume for women. No express shipping. No shipping to PO boxes. 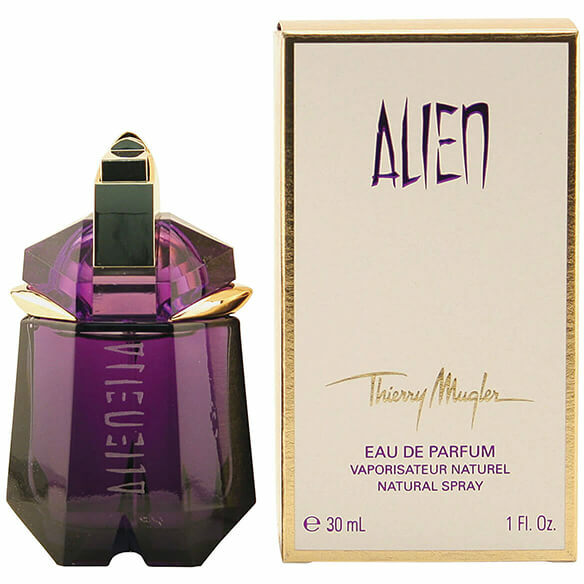 I have used Thierry Mugler Angel and thought I would try the Alien. It is everything I expected and more! Amazing scent and shipped super fast! Thank you Walter Drake! Because I smelled a sample and it was lovely.